Xiaomi unveils Mi A2 and Mi A2 Lite smartphones with Android One. Xiaomi today expanded its Android One lineup with the introduction of Mi A2 and Mi A2 Lite, which feature powerful photography capabilities and a host of notable upgrades from the previous generation. The wildly successful Mi A1 launched in September last year as Xiaomi's first Android One device. The latest pair of pure Android devices from Xiaomi now available in Spain, starting at €179. Mi A2 features a 5.99-inch 18:9 Full Screen Display, protected by a 2.5D Corning Gorilla Glass 5 panel, in a beautifully-designed aluminum unibody with a curved back panel that is tapered towards the four sides. Measuring just 7.3mm thick, Mi A2 offers great aesthetics and ergonomics at the same time. The Mi A2 is powered by Qualcomm Snapdragon 660 platform with Artificial Intelligence Engine (AIE), Advanced Kryo architecture, coupled with up to 6GB LPDDR4x RAM. With a 20MP Sony IMX376 front camera and a 12MP + 20MP AI dual rear camera, the Mi A2 is a dream come true for those who love selfies. The 20MP front sensor features Super Pixel technology that combines the information of four pixels to create one large 2.0µm pixel, which greatly improves the sensor's light sensitivity, resulting in clearer and brighter images in low-light conditions. Coupled with effects such as AI Portrait, AI Beautify 4.0 and HDR, as well as a 4500K front Selfie-light. 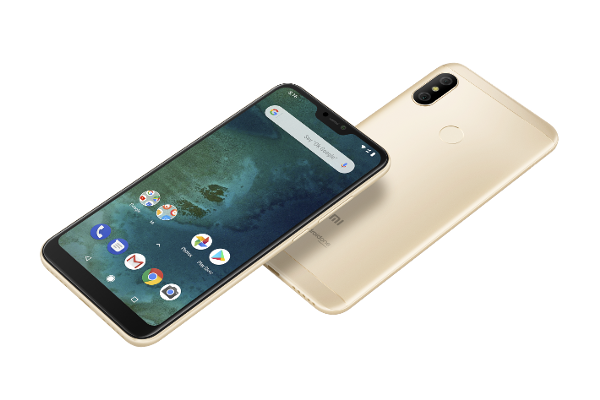 Xiaomi's Mi A2 Lite is one of the first Android One devices to feature a unique 19:9 display. This 5.84" FHD+ full screen display is housed in a relatively compact body, making it very convenient for one-handed use. The screen also comes with useful features such as Auto Contrast, Reading Mode and Night Mode. With the power-efficient Qualcomm Snapdragon 625 platform and an impressive 4000mAh battery, Mi A2 Lite easily powers through 6 hours of continuous gaming and 34 hours of music playback. The Mi A2 and Mi A2 Lite run pure Android 8.1 out of the box. In terms of security, users can rest easy with monthly security software updates and Google Play Protect built in. Moreover, Mi A2 and Mi A2 Lite support Google's Project Treble, resulting in faster and easier system updates than other Android devices so users can get their hands on the latest features. Mi A2 comes in three versions with the following pricing in Spain: 4GB+32GB for €249/~$291, 4GB+64GB for €279/~$326 and 6GB+128GB for €349/~$408. 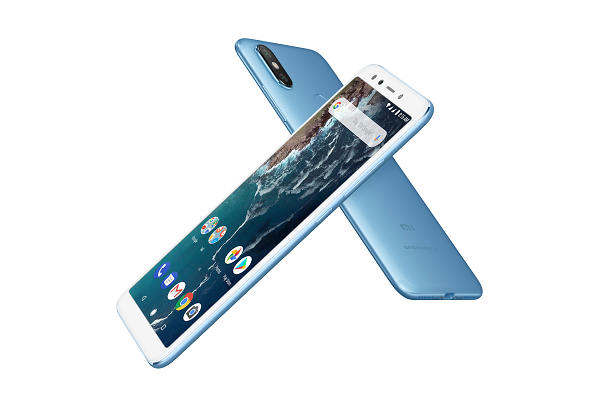 Mi A2 Lite will be available at 3GB+32GB for €179/~$209 and 4GB+64GB for €229/~$268 in Spain.